Tampa, Fla. (July 11, 2017)—Content marketing industry leaders Atomic Reach and CopyPress today released their collaborative whitepaper “How AI Can Improve User Engagement.” The white paper reviews the growth of artificial intelligence (AI) in marketing and provides solutions for small businesses that want to implement AI into their own limited content strategies. This whitepaper is available as a download from the Content Marketing Resources section of the CopyPress website (copypress.com/resources). The goal of this white paper is to dispel the myths that AI is limited to large companies with structured IT departments and significant innovation budgets. This document also addresses common misconceptions that marketers who take advantage of AI need a background in technology development or need to dedicate large amounts of time and resources to benefit from it. Additional themes discussed in the white paper tie back to a common message: Using AI for content marketing is more accessible than many people think. AI can be used to manage social media campaigns and help customer service departments. Machine learning makes companies more flexible by providing immediate feedback. 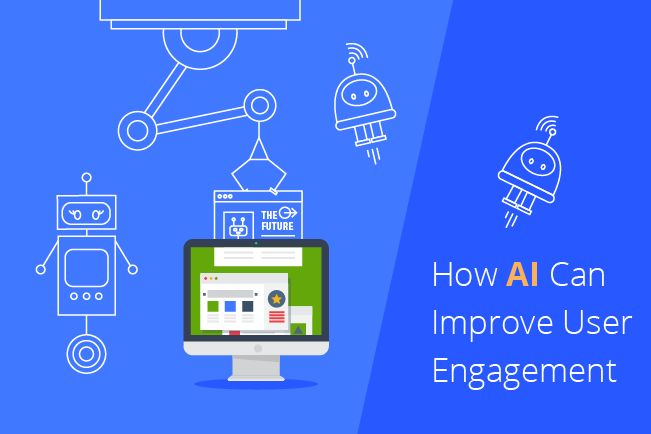 Content marketers can apply AI to their existing programs to enhance them. AI can translate qualitative traits into quantitative data so that content marketers can take actionable steps toward improvement. When content marketers understand how AI can help their efforts and dispel specific myths about price, experience, and involvement, they can move forward and experiment with AI tools for themselves. Atomic Reach (atomicreach.com) is an AI Content Marketing Optimization Platform for content and social media marketers. Along with its artificial intelligence (AI) tools, Atomic Reach prides itself on providing support guidance through every step of the content marketing journey. Its AI tools work to develop customer engagement, grow Facebook conversions and increase total page views. With the help of technology, your content marketing goals are within reach. Founded in 2009, CopyPress (copypress.com) develops and promotes high-quality articles, infographics and other digital media. This digital content marketing agency has a strong community of writers and creatives that work to execute the marketing strategies of small businesses and Fortune 500 companies. CopyPress has worked with myriad industries including B2B software developers, retailers, hospitality providers, and marketing professionals. This flexibility and diversity make CopyPress the top choice for many companies and agencies. To learn more about the partnership between Atomic Reach and CopyPress, connect with the CopyPress team at 888-505-5689 or info@copypress.com.